Having made a sizeable splash on the Cape wine scene with their captivating Carménère 2016, it’s time to look at the other reds flowing from Lozärn Wines at Doornbosch farm in the Bonnievale area. Appearances do matter, and the first impression of the two reds I was about to open is one of sauve elegance – Black bottles, black labels, minimal text. In front the labels just inform, in bronze lettering that this is Lozärn shiraz 2016 and Lozärn Kay’s Legacy 2016, but down the sides of the wrap-around label, there is more info. To the shiraz first, made from 16-year-old wines – this is medium-bodied, offering wafts of berried fruit with more on the palate. There is an attractive purity, which, (dare I say it?) could be attributed to a woman winemaker, as I have experienced this characteristic far more with wines made by females. The tannins are still quite grippy but are sure to soften over the next year or two to meld happily with the fruit. Tasters could (or should?) also detect coriander, cranberries, cloves and goji berries in this wine, which is enjoyable already, but is going to improve even more with time. Alcohol levels of 14% do not intrude, and the wine is aimed at the upper end of the middle market, retailing at R260. Kay’s legacy is a red blend made up of 53% cab sauvignon, 33% merlot and the remainder cab franc, a Bordeaux mix that promises a portent of pleasure to come... Winemaker Salome Buys-Vermeulen has crafted this as a legacy to family matriarch Kay Sedgwick (of sherry fame) who married Sebastian Smuts who managed the vast Vergelegen farm for some years, so the vinous connection was present in both sides of the family. Kay farmed in the Robertson valley from 1923, mostly with ducks and chickens and named her farm Lucerne (or Luzärn). Her son added vineyards when he took over and his son and grandsons, the fourth generation, now run the farm in the Bonnievale area. The tasting samples sent to media were stylishly presented, complete with little packets of spices which added agreeable aromas to the air in my study. Just the name induces memories of exotic meals enjoyed back in the late 80’s when we had to remember to book a table, as Anatoli was usually fully booked.. Dining there inspired me to investigate this wonderful cuisine further, and when I learned that it's regarded as one of the top five cuisines in the world, I wasn't surprised. As country-dwellers we have become more reliant on our own cooking skills, and I am often pleased that I have a little store of Turkish recipes in my handwritten recipe books. 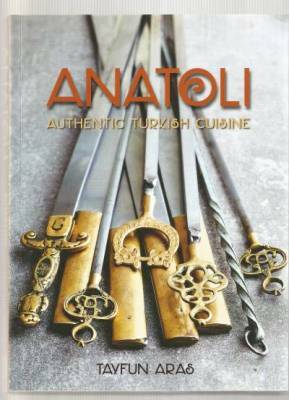 But what a treat to get this delectable collection from the present owner of Anatoli restaurant, recipes much embellished by his life story. He enjoyed an enviable childhood in a suburb of Ankara, brought up in a house where the garden fruit trees provided dessert and his mother encouraged him, the eldest of three sons, to take an active interest in family cooking. Although he has a degree in archaeology he spent time selling carpets and souvenirs in Marmaris for several years where he absorbed the seafood and wild greens diet of the locals and, after marrying and starting a family, he and Louise moved to Cape Town in the late 90’s. Here he shared his expertise of Turkish braai-ing with locals . In 2003 he bought Anatoli when it came on the market for the second time and gradually adapted the original menu by introducing a new repertoire of mezzes. The author ascribes the complexity of Turkish fare to influence from the vast territories of the Ottoman Empire, which spanned areas in Europe, the Caucasus, western Asia, north Africa and the horn of that continent. He brought in Turkish apricots, spicy beef sausages, sumac, Turkish coffee, raki and other ingredients at first, but now that Cape Town is more international it is easier to find most of these in the city. Tayfun’s recipes open with a description of basic and essential ingredients that home cooks should have. Mezzes follow, ranging from a simple dish of varied olives to baby marrow fritters, from Circassian chicken paté to hummus, stuffed vine leaves to fava, (broad bean puree), red pepper pesto to borani (spinach with yoghurt and sultanas), tarama to tzatziki. You will also find kofte, (meatballs with tarator sauce), shakshuka (an eggless version) and aubergine dishes. Anatoli’s popular bread recipe precedes main course dishes which are sourced from all regions in Turkey, some adapted to suit local palates. Most are served with fragrant rice but bulgar pilaf makes a good alternative. There are classics like Imam Bayildi, etli dolma 9mixed vegetables filled with spiced lamb mince), lamb shanks, lamb ribs, sultans delight ( cubed lamb served on smoked aubergine puree). Chicken baked with feta combines enticing flavours, and then we move to a selection of kebabs. Dessert is important in Turkish cuisine, and fruit compotes, milk puddings and of course baklava and kadayfi are classic examples. I like the look of apricots stuffed with almonds and cream and cream-filled stewed quince halves. The final chapter, From my Home Kitchen, presents dishes too time-consuming for restaurant inclusion. Readers will find some appetising salads, delicious brunch choices - including halloumi cheese baked in moskonfyt! - a mussel stew, shrimp casserole and instructions for making Turkish tea (coffee is dealt with earlier in the book). Adventurous vegetarians will find plenty to chew on in this treasury to expand their repertoires as well. A treasury of wise sayings accompanies the recipes in this book which is illustrated with plenty of appetising photographs, with the fare competing with some dishes, beautifully decorated china or metal dishes. Mouthwatering in every sense of the word. 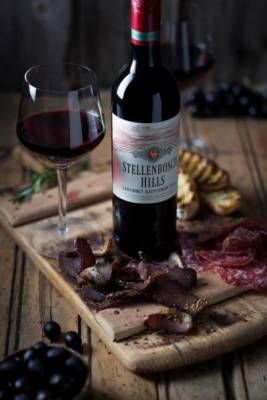 Stellenbosch Hills is adding a sweet finale to its biltong and wine pairing for the month of September, with a heritage dessert, in form of koeksisters, to be paired with their Muscat de Hambourg. Visitors can start with the pairing of their white and red wines with a range of biltong and droewors , then go on to choose a plaited or Cape Malay-style koeksister to finish. The pairings cost R75, and bookings can be made at 021 881 3828/9. Food, wine, music and entertainment for all members of the family is on the menu for this weekend bash, taking place on September 1 & 2. Events are hosted by the various farms, including a scavenger hunt for grownups where particpants have to complete challenges prompted by a mobile phone app. There's yoga in the vineyards, meeting Nguni cattle, a farmers' market and wine launches on the programmes. Steak and curry nights and an ox braai add choices to dining, while the Bull fest theme gets carried through to clay bull shooting and taurean treasure hunts for children. Tickets cost R100 per day and obtainable through Quicket. For more info contact Melissa Nelsen at Melissa@genevievemcc.co.za. The cellars will also be holding a tasting of new vintages at La Tete restaurant in Bree Street, Cape Town on Wed August 29 at 18h00. Tickets cost R200 and are available on quicket.com. Calitzdorp, like other parts of the Little Karoo is still struggling with drought conditions. Yet nothing seems to stop the wine producers from bringing out great wines, both easy-drinking bargains and superb port wines for which the region is renowned. De Krans is a fine example of a cellar that continues to produce world-class ports even while releasing an increasing number of white and red wines that are attracting awards at our national contests. As budgets decrease thanks to rising petrol and other prices, winelovers are looking for affordability along with quality. 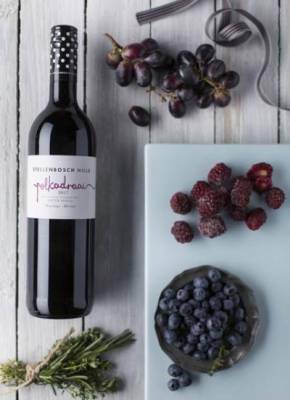 The De Krans Basket Press cabernet sauvignon 2017 fits the bill nicely, an easy-drinking, warming, ruby red wine, presenting smooth tannins, cherry and plum flavours and offering moderate alcohol levels of 13,5%. At R65 it is accompanying many a winter casserole and braai, while also making a cosy fireside aperitif. Looking ahead to a spring that hopefully brings seasonal showers, De Krans released its 2018 Pinotage Rosé a while ago, probably one of the first wines of this tough drought-ravaged vintage. 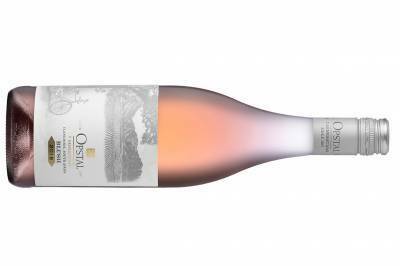 However this attractive salmon-tinged dry blush wine, with very moderate alcohol levels and priced at R65 does not reflect hard times, but invites patrons to enjoy its berry and rose petal aromas, its fruity flavours and inviting hues – lunch time, brunch time, and the perfect complement to good picnics and other moveable feasts. Challenge, I still turn to my all-time favourite, their Cape Tawny Limited Release, a non-vintage port blended, reports Platter, from wines five to 15 years old. As always, freshness and elegance accompany the rich flavours of caramel and citrus, fruitcake and nuttiness, and it’s unsurprising to see the bottle adorned with a four-and-half star sticker from Platter, gold from Veritas 2017, platinum from the SA Wine Index and a 92 –rating from Tim Atkins’ 2017 report. I'm off to shave slivers of vintage Italian Parmesan as my favourite accompaniment to this tawny delight. The 2018 white and rosé wines are trickling onto the market, and will soon become a steady stream. Among the early birds are the new vintages of Delheim’s perennially popular pair- their sauvignon blanc and their pinotage rosé. To start with the latter, this blush has a long and illustrious history, being produced regularly since its launch in 1976, when the late Spatz Sperling first presented it to the local and German markets. It offers a good mix of candy and berry aromas, while the berry flavours on the palate are balanced by crispness and faint floral wafts of perfume , thanks to a tiny portion of Muscat de Frontignan. The prevailing drought has not affected the usual good quality and the moderate alcohol levels of 12,5% add to its attraction. Expect to pay around R75. 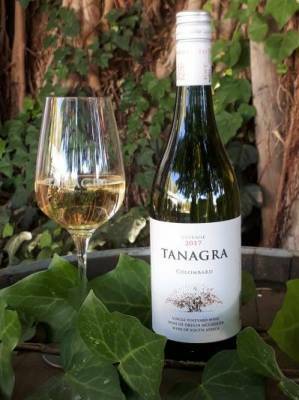 The 2018 sauvignon blanc will please a wide variety of tastes, as its nicely balanced, green fig and citrus notes complementing a hint of flint. Alcohol levels are moderate at 13,5%, and this wine, while fresh as a daisy, is not overly acidic. It sells for R79. Both wines have a band on their back labels stating Suitable for Vegans. This is a good idea if, as Delheim says, they have had an increase in queries from visitors and diners as to the acceptability of their wines to vegans and vegetarians. Of course today dozens of producers do not use egg white or fish products in the fining of their wines, while others, choosing the minimimalist approach, are not fining their wines at all. Bentonite is the product most widely in use today, a type of clay that is far less messy than working with egg whites which used to be popular. Delheim is one of the cellars that has been using bentonite for several years. The 12th annual event takes place from August 3 – 5. Always a great way to experience the winelands in slow mode, unearth wonderful wines, dine at farm-to-fork eateries and stock up with value-for-money quality. Make up your itinerary – fireside dinners with the winemakers, wines in underground cellars, single vineyard tastings, game drives, boat rides – then book each event individually . Finish by spending time at the Family Market on Sunday – it’s always worth the while. Seewww. robertsonslow.com for online bookings, call 023 626 3167 for more info, or email events@robertsonwinevalley.com with questions. 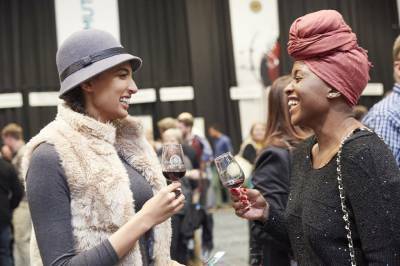 Michael Fridjhon will present two regional shows, the first of which is a new event, the Capital City Wine Show taking place at the Maslow hotel in Menlyn on 26 – 27 July. 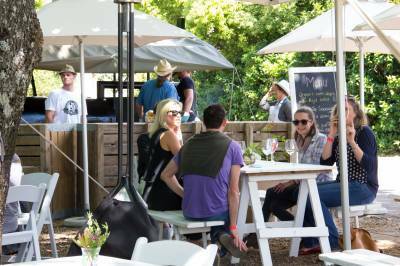 Renowned cellars and boutique producers will be showing their fine wines from 17h00 to 21h00 on both days. Early Bird tickets cost R180 for each night, until July 22, then R200 therafter and at the door. See www.capitalcitywineshow.co.za for list of exhibitors. 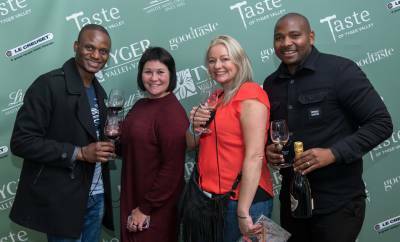 The Free State Wine Show takes place on August 2 – 3 at ‘Emoya Estate, Groenvlei, Bloemfontein from 17h00 to 21h00 on both days. Early Bird tickets cost R160 for Thursday and R180 for Friday, thereafter R180 for Thursday and R200 for Friday and at the door. Visit www.freestatewineshow.co.za for list of exhibitors. Meet CWG member winemakers and sample their wines at one of these showcases ahead of the CWG Auction on Saturday September 29. According to one guest, there wasn’t a bed left in the guest houses and BnB’s of Bonnievale and surrounds! It seems that Bonnievale’s launch of their River Collection was a large and popular event and I was sorry to have missed it. But I have tried the quartet of 2018 wines that currently is available: three whites and a rosé, which will be joined by some 2017 reds later this year. 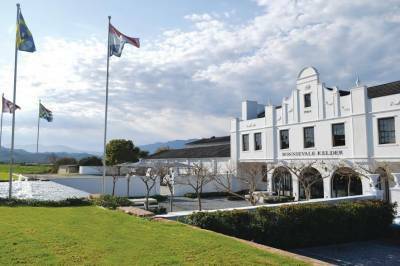 To rewind, for a moment, to the time when Bonnievale wines was founded half a century ago, the cellar produced accessible ranges to 2006 when a three-way merger saw the winery join forces with Merwespont and Nordale co-ops, under the Bonnievale name. 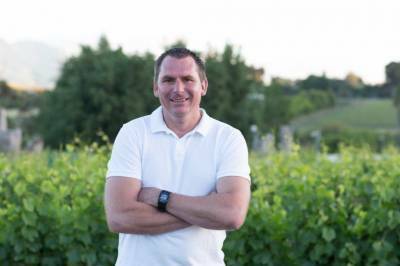 CEO John Barnardt has been at the helm ever since, taking the business to higher levels, so that when their 10th anniversary was celebrated in 2016, the producer was known as a cellar that remains unpretentious while delivering well-made fruit-driven wines at pleasing prices. 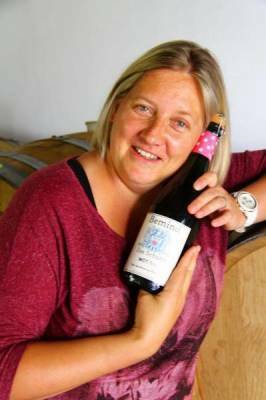 Carina Gous joined the team as strategic brand advisor recently, while the winemaking team is headed by Marthinus Rademeyer (who made the chardonnay, sauvignon blanc and cinsault rosé), while Jean Slabber’s signature is on the label of the chenin blanc. Turning to the wines, which form part of a new collection that celebrates the Breede river, the cellar’s lifeline and “the core and heartbeat of our wines” to use Barnardt’s phrase. They are all priced at R57 at cellar door and all share modest alcohol levels - both on-trend and welcome - of 12,5%, with the rosé coming in at 12%. 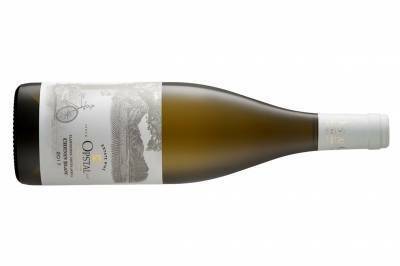 They are approachable, enjoyable and well-made, offering good value: the chenin is, in particular, a pleasing addition as there are few offering such good value in the Robertson valley. I also liked the chardonnay which is well rounded, offering citrus and stone fruit balanced by a little oak. The sauvignon blanc is crisp without being over acidic and leans to the tropical fruit rather than green style, while the rosé is very light-bodied, with little cinsaut character evident. 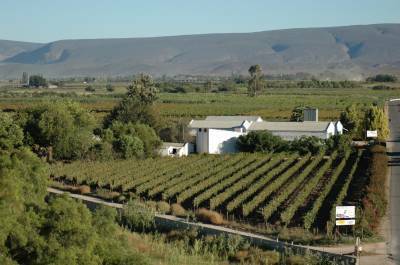 Over the last few years the quality and diversity of wines available from the producers in the McGregor valley have rocketed, When talking to visitors and wine lovers in other centres it was clear that few people knew just how good and diverse the offerings are. This led to my creating the McGregor Wine Meander which forms an informal link between the local outlets and provides travellers and locals a vinous route that can be visited over a weekend or longer stay. We invite you to ramble or run, hike or bike, trot on horseback or just drive your four-wheeled chariot through the valley, pausing wherever you feel like sampling one of our charming wines or sipping a grappa or eau de vie. Here below are a couple of excerpts from the website, starting with the introduction. At present there are six members, and this number is set to rise by one or two more. Starting at the Robertson end of the McGregor/Robertson road, the first cellar is Tanagra Winery & Distillery, followed by McGregor Wines. Bemindwyne and Grape De-Vine are in the middle of the village, with the latter acting as tasting centre for Solara Organic Wines. Beyond the village, some 10km uphill, lies Lord's Wines, the highest cellar in the Robertson Wine Valley. Please log on to www.mcgregorwinemeander.co.za to plan your route and click on each member to obtain their details. Amazing diversity. Consistent quality. Great value for money. This best describes the wines and spirits that flow from the farms and cellars of the valley that encompasses the magical village of McGregor. Where else would one find such extraordinary variety within one small wine-producing district ? Cellars ranging from garagiste through boutique to a large co-operative. Single vineyard white, red and rosés. Fine Cinsaut and Colombard that take these former humble – now trendy – grapes to new levels. Irresistible award-winning Cap Classiques. Internationally registered unforgettable organic sauvignon blanc and pinotage. Highly rated popular cabernet sauvignon and, of course, soetes, in the form of warming red and white muscadels. And, from a small distillery, a range of world-class grappa or marc as its also known, along with eau de vie produced from both red and white wines. And there’s more in the guise of a fruit-based range where apricots, peaches, lemons and organic quinces play starring roles. An inviting village wine boutique doubles as a tasting centre for one farm while providing locals with a meeting place of note. This little route can be compared to a jewelled necklace, along which a handful of farms and cellars perch as gems waiting to be unearthed. The winemakers, viticulturists and farmers (sometimes all-in-one) share qualities like talent, passion and hospitality – the old adage, ‘arrive as strangers, leave as friends’ – could have been coined especially for this valley. 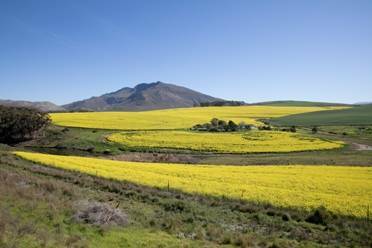 a slow and winding 15km route through vine-clad hills, past orchards, farmsteads and between stretches of veld where nature rules supreme. After leaving the village the road climbs to the foothills of the Sonderend mountains, where the final destination boasts heart-stopping views over the valley. In anticipation of your tastings, we would like to raise a glass in welcome with traditional toasts of Cheers! Gesondheid! And, with a nod to our Scottish heritage, Slainte! 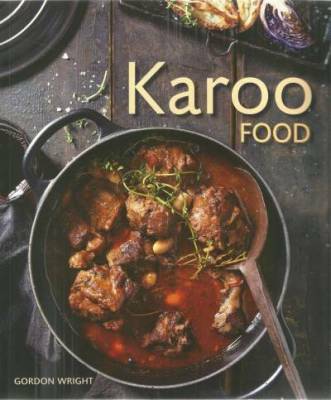 KAROO FOOD by Gordon Wright, published by Struik Lifestyle, 2018. This second title from Gordon Wright is another "must-have" for every keen cook and for those aiming to become hosts whose meals are memorable and hospitality unsurpassed. Wright lives up to this description with enthusiasm as he shares his expertise, starting, naturally, with Karoo lamb and mutton. Lots of advice interspersed with recipes less obvious than roast leg or shoulder, here we find roasted lamb belly, lamb sausage, roasted rump and mutton confit. On to beef, with tips on ageing, making broth and rubs preceding recipes for oxtail, skirt steak and rib-eye with marrow bone sauce. Venison gets special treatment with Wright presenting a friend's blueberry and sage wors, bobotie, sautéed kidneys, sosaties, fillet, biltong, even venison crisps as snacks, meaty alternatives to crisps. We also find venison meatballs, pie, tartare and skilpadjes (liver in caul fat). His poultry and wild fowl chapter offers a creative variety, opening with homemade chicken nuggets served with black olive ratatouille dip – great for a first course while the braai is doing the main. Peanut chicken in cream is an easy oven -to- table dish with Indonesian overtones, andthere’s a delicious looking guinea fowl stew which is, Wright says, a Karoo version of a cassoulet. A chapter on charcuterie and curing will delight those wanting to get down to more than frying and braai-ing, and then the scene turns to seafood (enjoyed during holidays on the coast) and a few vegetable soups and salads. The smoking and braai chapter will please outdoor cooks who are adventurous, and prepared to spend time on prepping their meat or poultry. The book concludes with a few heritage desserts. Every item is photographed superbly by Sean Calitz, while his landscape shots add the perfect ambience to this out -of -the- ordinary collection of modern Karoo cuisine with a nod to traditional favourites. It’s good to see the same professional publishing team still working together to produce the most appealing cookbooks, food with flair and stories to digest, as well as photographs to admire even as our mouths water. As always, Linda, Cecilia, Bev and others combine talents seamlessly and, for me, evoke happy memories that go back a good decade. There are many sunny winter days when one looks for white wines that are alternatives to summer specials like sauvignon blanc. This is the time to sample Rieslings and Gewurztraminer and the 2016 vintages from Paul Cluver make an inspired choice. I recently enjoyed every sip of the Paul Cluver Dry Encounter Riesling, as elegant as ever, offering a fine combo of citrus notes and flint with a lick of cream on the finish. Not a trace of petrol on the nose or palate, just a delightful aperitif or a companion that quietly enhances sophisticated fare, from white meats and fish to blonde soups and patés. As Riesling was one of the original cultivars planted when the family started making wine, the vines are probably at their peak. Its very moderate alcohol levels of R12 % add to its numerous charms. It sells for R110. The renowned Elgin farm is also punting its 2016 Gewurztraminer, offering some fascinating tidbits of history about the cultivar in well-written press releases. Describing the vine as “culturally confused” we learn that it is Italian (Tyrolean in fact) in origin, made famous in France and German in name, it travels further as the ideal partner to Asian and Middle Eastern fare, and can complement chilli-spiked dishes with panache. I think its also worth trying with the gentler curries of the Cape Malay cuisine and some Persian – now Iranian – classics. Cellarmaster Andries Burger describes the nose as reminiscent of pelargonium, honeysuckle and jasmine flowers, whereas most Gewurz presents rose, litchi and melon – so there’s a wide choice. I picked up rose, melon and mixed floral scents, leading to a mixed bouquet on the palate alongside a frisky freshness that prevents this wine from becoming overwhelming or too intense. It is, of course, off-dry, is rated four and half stars in the current edition of Platter, and costs R100. TRIBUTE TO THE LATE RENATA COETZEE – A South African culinary legend. Two days ago, Renata Coetzee’s latest work – another striking social history dealing with early South African cuisine – was shown to the committee of the McGregor Heritage Society. Recently released, a local resident had given a copy to the Society, a gesture much appreciated. Unknown to us, the author had recently died, bringing an era of impressive and prolific research to a close. 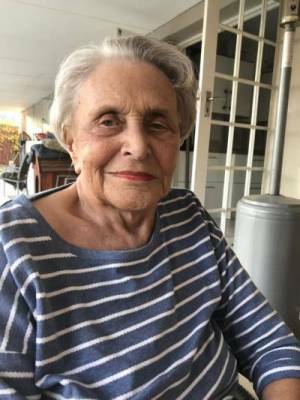 According to the notice in today’s Cape Times, Renata was born in 1930, and certainly lived life to the full to the age of 88. Her research in to our early eating habits saw a number of titles published, and these were readable, enjoyable books, rather than dusty tomes. Her interests were not only acadaemic, but practical, as her weighty manual on creative catering proved. But let’s backtrack for a minute, and have a quick look at her impressive career. Her initial degree in dietetics was awarded at Potchefstroom, but she received her Masters degree in home economics at Stellenbosch University. She studied food and nutrition at three universities in the US of A between 1959 and 1974 and lectured at the University of Pretoria for some years . Her first title The South African Culnary Tradition was published in 1977, a delicious mix of social history and eating habits of the early Cape Dutch community from 1652 to 1800, with more than 100 authentic recipes. It’s a title that has always been at my side when writing about the historic aspect of our cuisine , whether for the Cape Argus, for magazines or for any of my own titles. Her interest in the food of Southern African tribes saw intensive research being conducted over several years, at a time when this received scant coverage in English and Afrikaans cookery books. Renata’s second book, Funa, Roots of traditional African food culture was the result, and one on the customs and traditional fare of the Batswana followed. As the new South Africa came into being, Renata was ready on the gastronomic front with a large manual containing the fruits of long labour. 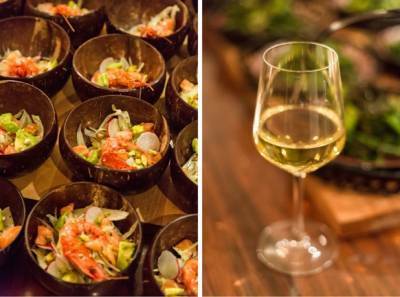 Cost-Consious Creative Catering was launched to provide mass-catering for every cultural taste in South Africa. In a hand-written note she told me that this ground-breaking achievement presented user-friendly recipes , with clear instructions, for caterers to provided “Africa’s Natural Nourishment” as she termed it, in portions ranging from 50 through 200 to 1000. Here her experience as Anglo American’s Gold and Uranium division manager of dietetics and catering becomes clear, as does her decade as senior dietician for Stellenbosch university. As a commercial venture she packaged traditional ingredients like sorghum, marogo, isjingi into quick-cooking food packs for caterers and included dozens of dishes that used traditional fare, with western ingredients (pilchards, bread, cheese, salads) to produce healthy and varied menus for balanced meals. Fast forward to 2010 when Coetzee and photographer Volker Miros launched Kukumakranka: a triumph of a title embracing Khoi-Khoin Culture, Customs and Creative Cooking. Acknowledging contributions from those who talk about Griqua and Nama diets, this precious item of Africana is dedicated to the Khoi-Khoin women, who showocase their art of cooking on these beautifully designed and illustrated pages. Around this time Renata advised the owner and chef of Solms-Delta near Franschhoek on what to plant in their veld-food garden and what to put on the menu to reflect the fare enjoyed by the region’s early inhabitants. The results have seen travellers from across the globe sit down and try ingredients truly foreign to them, but well received in the farm’s restaurant. I presumed that Renata was enjoying well earned retirement in Stellenbosch. What a thought! Her latest and final title is a culinary and historical swansong that will surely complete some forgotten aspects of our nutritional habits that she wrapped up quite recently. I have not yet got hold of a copy, but will do so very soon. In the meantime, my admiration and heartfelt thanks to this amazing lady, whose unfailing enthusiam, talent and work lives on between the covers of her titles. Just what many of us need right now! Midwinter blues increased by rocketing petrol and other prices. Depressing ongoing national political news and Cape shenanigans that don’t inspire trust in municipal or provincial management. Perfect timing, then to find a red and white wine that manage to offer cheer on several fronts: Stellenbosch Hills – long known for affordable quality wines - launches a pair of blends that retail for just under R45 each, which doesn’t dent the budget much. Then, having tried both of them, one finds that – as expected – they offer uncomplicated sipping, but a lot more. Both these wines offer enjoyment way beyond their price – they are well-balanced, presenting fruit, freshness and enough backbone to make them meaningful wines. And thirdly, there’s a feel-good angle as well: A percentage of Polkadraai wine sales is channelled to the Vlottenburg Primary School through the Polka Kids Community Project. Stellenbosch Hills has been a patron for a decade now, and shows no signs of stopping. Even if that percentage is very small, after 10 years the cellar’s contribution has made a good deal of difference to those 400 pupils. The 2017 Polkadraai Pinotage/Merlot slips down like silk, easy enjoyment as a fireside aperitif, comfortable companion to pizza, pasta, sausage and mash and a whole menu of comfort suppers. At 14,5% alcohol levels, the second bottle needs to be watched with some care. By way of contrast the 2018 Chenin Blanc/Sauvignon Blanc is a mere 12,5% alcohol-wise, is fruity and gentle and not bone-dry, but not flabby, and will accompany easy dishes like apricot chicken bakes happily. The pair make the maiden vintages of his Focal Point Collection and there’s more in the pipeline, with a cab to come. Arco Laarman, whose name is almost synonomous with fine chardonnay after his long stint at Glen Carlou, went solo a few years ago, presenting his Cluster Series last year, and this impressive pair, both 2017 vintage, a couple of months ago. Dubbed the Focal Point, Laarman explains that this range concentrates on specific vineyard sites to express their character, by making a wine that reflects a specific place and time. 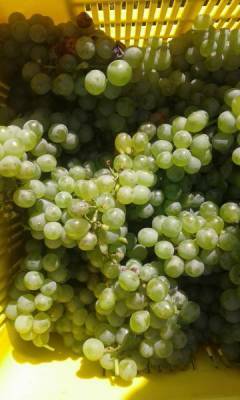 Deciding on Chardonnay as the maiden white was a given, while settling on Cinsault for the red was influenced both by the existence of fine old vineyards to tap into and the fact that its star is on the rise, just as chenin’s was a decade agao – and look at that so-called humble grape now. 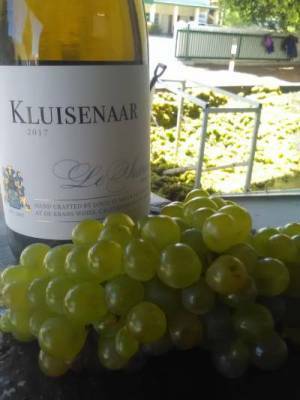 Laarman found his chardonnay grapes in a vineyard in limestone on the banks of the Duiwenhoks river near Vermaaklikheid, a cool southern region that’s been spotted by several adventurous winemakers in recent years. He does not reveal their age, but he harvested quite late, whole bunch-pressed them and used four different fermentation techniques before maturing the wine – half in new French oak, half in neutral oak for 10 months. The result is impressive on every count. Elegance and freshness are both prominent, the nose offers citrus and pineapple, while rounded flavours and minerality come through on the palate, with a hint of nougat. Alcohol levels of 14% are unobtrusive. Laarman suggests pairing the wine with sophisticated seafood or roast chicken with asparagus and white wine sauce. I think there are several French gourmet chicken classics that would make an excellent companion, especially those from the north and French Alpine regions. At over R300, it’s a chardonnay to match with patrician fare. To the Cinsault, which Laarman made from berries of 35-year-old vines in the Bottelary Hills. After natural fermentation had taken place and the skins pressed in a large basket press, the wine spent 10 months in 300 litre neutral oak barrels. The result is a delicious violet-tinged cinsaut, where purity reigns supreme, tannins are gentle, fruit, a distinct herbiness and earthiness add to the typical cinsaut character. Moderate alcohol levels of 13% add to its attraction. 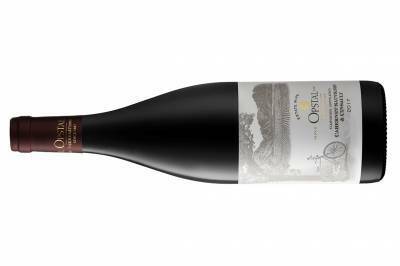 Those who favour light-bodied reds will be delighted with this fine example, which will enhance warming game bird casseroles, and mushroom dishes – eat your heart out, pinot noir, you have an affordable rival to contemplate. Recommended retail price is R210. Final comment is on the distinctive and attractive closure of the bottles which sees conventional cork topped with an innovative cork capsule for re-sealing the bottle. It's made by hand locally, it looks good and, being a natural product, beats plastic and wax seals both in looks and practicality. For more info, see www.laarmanwines.com. 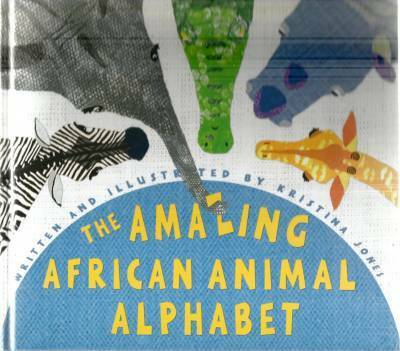 THE AMAZING AFRICAN ANIMAL ALPHABET written and illustrated by Kristina Jones published by Struik Children, Cape Town, 2017. When reviewing books produced for small children, criteria change dramatically: one is more concerned with visual impact, simplicity of text, subjects that will appeal than looking at plots, language and other points applied to books for adults and young adults. So, first impressions are important, and here we have an interesting cover where a giraffe, buffalo, crocodile and zebra watch while an elephant is scooping up the “z” of Amazing in the title with his trunk. Sunny yellow endpapers are followed by a title page and then we are straight into A, featuring Amahle the Aardvark, who is contemplating a halved avocado adorned with a few ants. Bandile the baboon is next, and he holds a birthday balloon while over the page, upper and lower case C’s are given life by Chris the crocodile who is in cooking mode, holding a sauce with corn and carrots. They add up to a colourful collection presented in African style, the stylised drawings also reflecting some of the collage elements from the author’s own collection of original Shweshwe fabrics. A hardback of immense appeal and one whose anthropomorphic nature will be enjoyed by both adult and little children. It proved to be a bitter-sweet occasion, that day in May when a group of wine writers and retailers gathered in Morgenster’s hilltop tasting room. Similar in many ways to past events where the ever-courteous, charming Giulio Bertrand, flanked by cellarmaster Henry Kotze and consultant Pierre Lurton greeted guests ahead of a tasting of new wines and latest vintages. This time, however, our host was absent, although we were told he was resting in the gabled farmstead which had been his home for more than 25 years. So he was near enough as we sipped the estate’s maiden bubbly, and sampled seven still wines ahead of a tour through the impressive olive oil plant, now graced by even more sophisticated machines. As always, the lunch that followed was an Italian gourmet triumph, from the simple, flavourful green pea soup, topped with a swirl of newly pressed oil, to the buffet of charcuterie, classic salads and cheeses. A few days later we learned that Giulio Bertrand had died, with his family around him. One of the Cape’s most beautiful 18th century farms had lost a custodian who lavished money, attention and love on his southern home, adding world-class olive oil to its reputation for fine wines. We started our tasting with the Cuvee Alessandra 2016, a Cap Classique produced from cabernet franc sans dosage. As could be expected, this is a distinctly different MCC which I found intriguing and enjoyable, with a fine mousse and full-bodied and a long finish. It sells for R227 . The Morgenster sauvignon blanc 2018 is a wine that should enjoy wide popularity – produced from Stellenbosch grapes it is well-balanced, with subtropical fruit flavours and fresh zestiness in enjoyable combination. At around R80 it also offers good value. I think that Morgenster’s White Reserve 2015 is a memorable Bordeaux-style white blend that offers elegance, complexity and great character, its components (55% s/blanc 45% semillon) melding into a fragrant, fruit-filled mouthful backed by a well-integrated structure. After being in oak for 12 months, the wine was bottled early in 2016 . Expect to pay about R220. On to the reds, starting with the delicious Tosca 2015, a blend of 80% Sangiovese with 15% cab, and finished with a splash of Cab Franc. While its array of aromas, smooth tannins and fruit and spice combo makes it delightful right now, it is sure to improve even further if cellared. Priced at about R230. Morgenster’s Nabucco 2015 is an expression of Giulio Bertrand’s favourite cultivar and an example of the great quality of much of the 2015 vintage wines. Nabucco takes a while to get to know – presenting an earthiness reminiscent of pinot noir, spice and herb flavours rather than fruit, all backed by prominent tannins. Cellarmaster Kotze added that when paired with food (beef, mature cheese, dark chocolate) it has a notable effect on the latter. It will also benefit from a few years in a dark cool place. About R340. Morgenster Lourens River Valley 2014 is a wine made in a more accessible style and offers a delightful blend of a merlot lead with cab, some cab franc and 10% petit verdot. Heady aromas of cherry and vanilla, cinnamon and licorice are followed on the palate by ripe fruit, backed by elegant tannins. It sells for about R190. And so, an era has come to a close. A timespan of more than two decades which has seen Morgenster - originally established by one Jacques Malan who acquired Morgenster in 1711 – gain in beauty and value while Signor Bertrand was its custodian. I heard that his grandchildren are interested in keeping the farm in the family, which is encouraging news. Arrivederci, grazie. Just ahead of midwinter, fathers get to enjoy their Sunday, so its not surprising that marketing revolves around comfort fare, snuggly clothes, and warming wines. Groote Post is one of the few cellars that makes a pair of wines specifically for the farm owner, in this case founder Peter Pentz, or the Old Man as he is known. Way back at the start of the new century the maiden vintage of this popular red blend appeared, and found a ready market. The white blend was added much later, and together these make an enjoyable, easy-drinking duo to pair with weekend meals, whether a meaty braai or a favourite roast or casserole. They are also ideal accompaniments to Father’s Day celebrations. To start with the Old Man’s Blend white, which I preferred, the 2018 vintage is a charming blend of sauvignon and chenin, fresh, fruity and with alcohol levels held at a moderate 13%. As good as an aperitif as an accompaniment to seafood, salads and sunny winter lunches. It sells for around R73. The 2017 vintage of the Old Man's Blend Red comprises merlot, cab sauvignon, shiraz and cab franc, in what proportions I don’t know. It is still young and I found the tannins a little fierce, but its a robust blend that will take on red meat around a fire or a dining table with ease. Alcohol levels of 14%. It could well reward at least a year’s cellaring, as the potential is discernible. It is priced at R76. Anyone looking for an appealing venue for a Father’s Day treat need look no further than Groote Post, a farm that combines beauty and history seamlessly, perched in the Darling Hills and offering indoor and outdoor attractions. The long term weather forecast from the Norwegians predict a sunny day for the area, with maximum temperatures of around 16 degrees. Promising indeed. Before I even get to the contents of the bottle, a few words on the label, box and inserts. Founder and chief distiller Mark Taverner and his team have done an impressive job on marketing his two craft gins – few consumers will fail to be impressed by The Gin Box which opens to reveal twin bottles – old-fashioned design, complete with a loop handle for easy carrying. 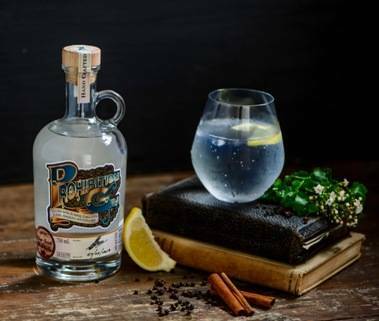 Then there’s the distinctive retro label, announcing that this Prohibition Gin is infused with juniper, coriander, lemon, angelica and cinnamon. The label is signed by the distiller and the bottle numbered – mine was no 143 of the batch produced in June Turn to the back label and there's more info for fans wanting to find out how and where it was produced. The tag that's attached to the handle announces “Helping folk dance since 1933..." which of course demands an explanation. 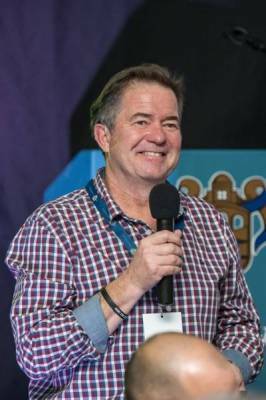 Having been inspired by craft distilleries in America, Taverner spent more than two years researching and studying before returning home to found the Silver Creek distillery in Randfontein. 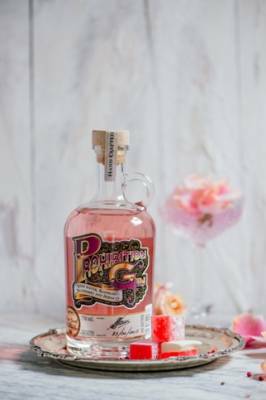 Starting with a range of moonshine, he then turned to gin, and recently launched a clear and rose-tinted version, along with a Gin Club for happy fans. As is standard, the alcohol level is 43%, as are the classic infusions used to flavour the spirit; they do not overpower, and the total effect is crisply smooth with a bouquet of citrus backed by a supporting and diverse cast of flavours. The Prohibition Pink is tinted and further infused with raspberries and blueberries, while rose water adds an aromatic oriental touch that is reminiscent of Turkish delight. They both sell for around R360 and make refreshing sundowners with classic tonic or lemon and, of course, a base for cocktails with exciting potential. Visit www.silvercreekdistillery.com for more information . Roll on Saturday, when the 10th World Gin Day will be celebrated globally, having been established in the UK – where else, given their long history of producing the spirit and pairing it with tonic?. Did Winston Churchill really say the following: “The gin and tonic has saved more Englishmen’s lives and minds than all the doctors in the Empire?” Probably. Meanwhile our talented mixologists will be working overtime to create exciting new cocktails in gin bars across South Africa. Time to toast our homegrown distillers who are crafting innovative gins of good quality in surprising corners of our country. The - can you believe? 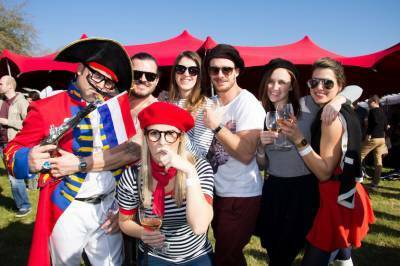 - 25th Franschhoek Bastille Festival takes placeover the weekend of 14 and 15 July. As always the village dresses up in the French colours of red, blue and white and the focus is on the Food & Wine Marquee, set against the backdrop of the Huguenot Monument. 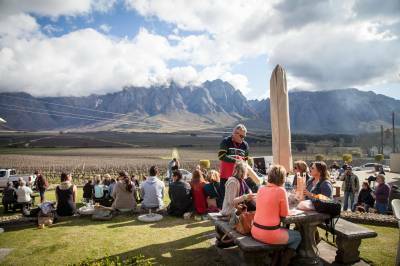 Sample the superb Franschhoek wines on offer and treat your tastebuds to delicious gourmet fare on sale from some of Franschhoek’s well-known eateries. Tickets to the Marquee cost R350 (Saturday entry) and R280 (Sunday entry), and include a tasting glass, five wine tasting coupons and a R20 voucher, redeemable on the day. As tickets are limited pre-booking via www.webtickets.co.za is advised. Children under 18 enter for free. The festival times are 11am to 5pm on the Saturday, and 11am to 3pm on the Sunday For more information visit www.franschhoekbastille.co.za. Time to diarise this year's public tastings of the 171 trophy, gold and silver medal winners which scored highest during the 2018 Old Mutual Trophy Wine Show. 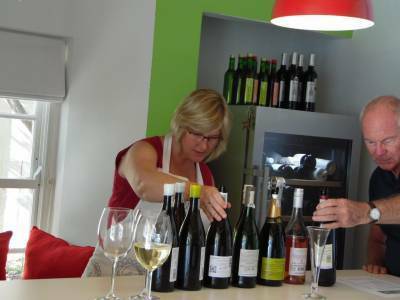 Meet the winning winemakers as you taste their products which will also be for sale. Find the results of the 2018 Old Mutual Trophy Wine Show, and the lists of trophy and medal winners and additional information (such as Top 10 best value wines) at www.trophywineshow.co.za and on the Old Mutual Trophy Wine Show website. Tasters will also be able to download a list of the public tasting wines before attending the event. 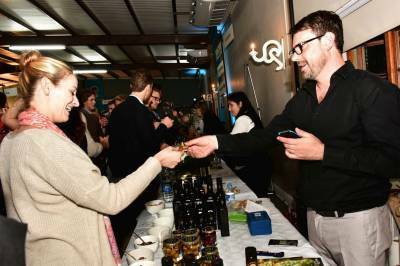 The Old Mutual Trophy Wine Show competition took place in Paarl over 4 days from 30 April. The 2018 judging panel, chaired by wine authority Michael Fridjhon, included a number of top international judges. Bookings: Book tickets online now via Computicket.com for both the Cape Town and Johannesburg events. Ticket price; R200 . Buy online or at the door, subject to availability. No under 18s, babies nor prams. Important details: Ticket includes tasting glass, unlimited tastings. Wine Sales: Wines at show prices can be ordered from the Makro ‘pop-up’ store at the tasting. Refreshments: Light meals are for sale. The CTMA is a not-for-profit company (NPO) that seeks to create opportunities for local, established and emerging musicians and related artists in the Western Cape. 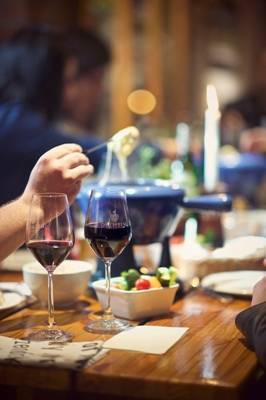 .The Jazz & Cheese Fondues are hosted in Delheim’s cosy ‘downstairs’ wine tasting cellar, snug with low ceilings and intimate tables. Tickets are R450, which includes the live performances, Glühwein and soup on arrival and the hearty fondue meal which will be served with complimentary Delheim wines between the first and second act. There will also be a coffee bar. Time: 12h00 with the first Jazz gig happening at 12h30. The fondue will be served at 13h15. Tickets MUST be booked ahead of time at www.webtickets.co.za. No walk-ins will be allowed. Find Delheim on Facebook, https://www.facebook.com/delheim; Twitter @Delheim and Instagram @delheimwines or contact them at Tel: 021 888 4600. 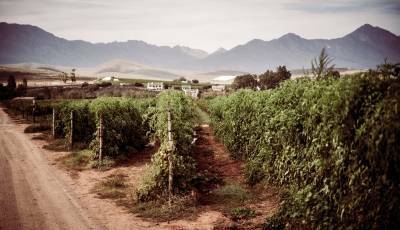 Wineries are offering their wares ranging from pot-stilled brandy, fortifieds like Jerepigo, Port and Muscadel, through to some serious Reds and full-bodied Whites. In addition Morgenster Wine & Olive Estate have a stand featuring their highly rated olive products and Le Creuset, Lindt and Montagu Dried Fruit and Nuts are on site to tempt visitors. Pairing wines with Lindt chocolates is another attraction. Participating producers include: Bayede Royal Wines , Benguela Cove, Devonvale Golf and Wine Estate, Du Toitskloof Wines, Franschhoek Cellar, Glenwood, Hill & Dale, Imbuku wines, Kunjani Wines, Le Pommier Wine Estate, Montpellier de Tulbagh, Montagu Wine and Spirits, Morgenster Wine & Olive Estate, Orange River Cellar, Perdeberg Cellar, Peter Bayley Wines, Spookfontein and Triple Three Estate Distillery. 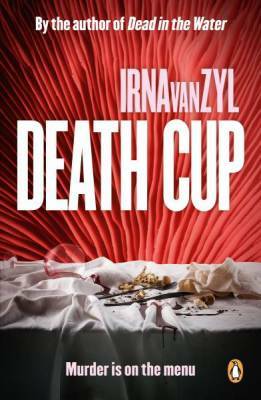 DEATH CUP by Irna van Zyl, published by Penguin Random House South Africa, 2018. How could I resist? A thriller sub-titled Murder is on the Menu, set against an Overberg background dripping with fickle foodies, on-trend restaurateurs and self-important chefs, followed by a series of deadly dishes and human corpses. This is van Zyl’s second detective novel and is translated from the Afrikaans original, titled Gifbeker. I was impressed by the author’s culinary knowledge of gastronomic contests, trends and top restaurants. Having raced through the book, I came across pages of generous acknowledgements where she listed cookbooks that afforded her culinary knowledge both trendy and basic, chefs who shared their passion and knowledge especially with regard to foraging, both seafood and funghi and techniques like open fire cooking in the kitchens. Detective Storm van der Merwe is on the case, helped by a couple of colleagues, some friendly, others wary. Storm has her own problems to contend with , not least of which is Moerdyk, a former policeman who had quit the force ahead of being fired. He usually turns up at Storm’s doorstep when least wanted, such as just after the first murder. He is determined to stay, and help her find a new place to rent as the owner (also a restaurateur) has complained about her three dogs. Tracey the waitress and seducer of Zeb is found dead in the restaurant wine cellar – victim number two and the plot thickens as Zeb is attacked by unknown men but survives and is taken to hospital. And Storm has to contend with Pistorius, her supervisor, a molester with past history and now transferred to Hermanus. Two men break into her bedroom and steal her phone and iPad, and her favourite dog Purdey disappears as they run away. Protesters outside Zebardines, rumours of a food website takeover, a smooth property developer (and old boyfriend of Storms) add complexity to an already crowded scene. Tension reaches breaking point , as a third victim, Maria Louw Zebardine’s maitre ‘d is attacked but survives and the glitzy restaurant awards event in Cape Town take place with heightened security in place . Storm herself is in danger before the murderer is stopped – and as in all good thrillers, not many readers will guess who this is. Topical, fast-paced, complex and accurately depicting Hermanus backgrounds, this is a well-executed and gripping crime novel.